Weather Protection, Sun Control & Security. 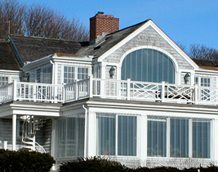 For twenty-five years, Shade & Shutter Systems has been providing design, installation and service of high quality weather protection, sun control and perimeter security solutions to homeowners, architects, and builders throughout the Northeast and the Caribbean. We are a preferred provider for major property and casualty insurance companies, a continuing education provider for the American Institute of Architects (AIA), and a member of the National Association of Home Builders (NAHB). Shade & Shutter Systems is owned and managed by founder Paul Craig, a licensed construction supervisor with over 35 years of experience in the trade. His team of skilled Product Specialists and Field Services Technicians have 25 plus years of hands on knowledge and expertise. 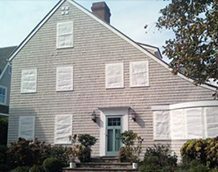 Choose from our Rolling Shutters, VuSafe Hurricane Panels, Hurricane Fabric, or VuSafe Flood Panels and sleep easy knowing your home is safe. 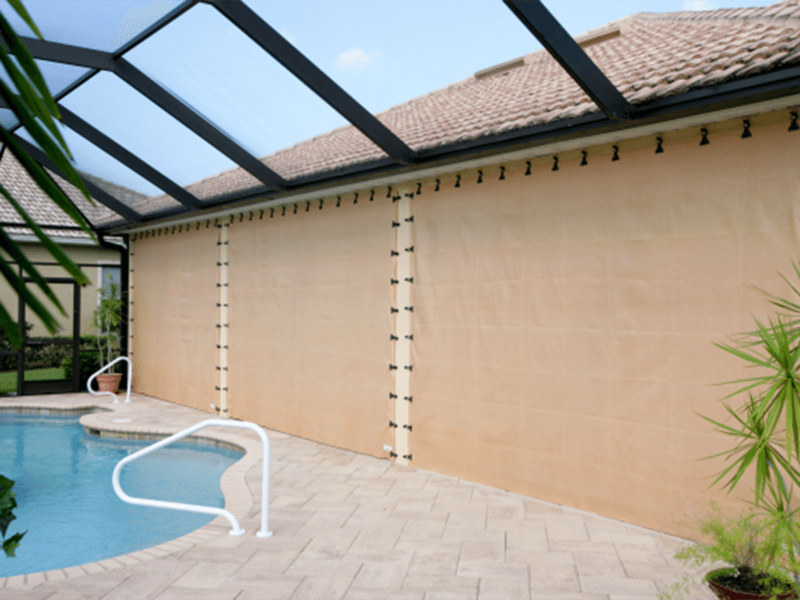 Protect yourself from the sun by choosing one of our Fabric Awnings, Exterior Screens, Window Treatments, or Aluminum Louvered Awnings. 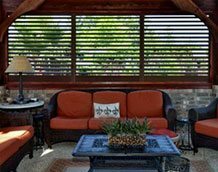 Expand your living space with our Retractable Sun Structures, Louvered Aluminum Awnings, Plantation Shutters, or Retractable Glass Railings. 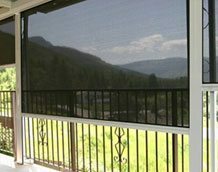 Our stainless steel security mesh screens with interlocking framing system provide dependable security along with unobstructed views and ventilation. 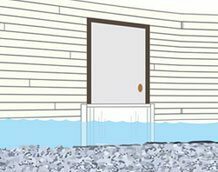 Easier to handle than sand bags, our VuSafe Flood Shield comes ready-made in order to be deployed quickly before a flood and taken down once the flood has passed. 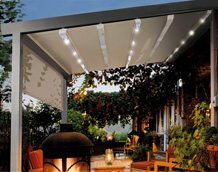 Expand your outdoor living space with our fully adjustable, rotating louvers that provide you protection from sun, rain and wind. 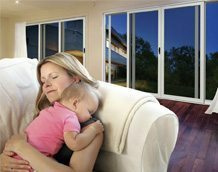 Design your living space with our extensive selection of Window Shutters, Window Treatments, and Retractable Glass Railings. 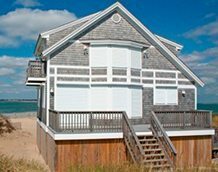 Shade & Shutter Systems is the premier provider of Retractable Awnings throughout Massachusetts, Connecticut, New York and Rhode Island and have showrooms on Cape Cod, Long Island and in Branford, CT for your convenience. 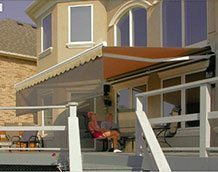 Live awning models are on display at all showrooms. 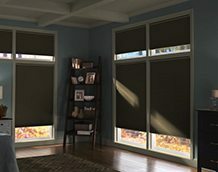 Shade & Shutter Systems offers a variety of Storm Protection products (including hurricane shutters, rolling shutters, storm panels, hurricane fabric and flood shield) specifically designed to protect your home and business from hurricanes, storms, break-ins, theft, sun and other weather damage. Need a Storm Protection Upgrade? No matter how simple or complex your project application may be… we have a solution! Our Product Specialists are highly trained detail experts with more than 60 years of combined experience. Architects, Builders, Designers: Don’t worry, we have everything you need. CADs and Shop Drawings are downloadable for you. We have a solid ongoing relationships with world class firms from several different countries. Our Product Specialists are well versed in schematics and design plans to help you integrate our products into your design. Home and Business Owners: We will gladly explain the details of your project at a level you are comfortable. Our Product Specialists will also discuss your project with outside contractors if needed. Electricians, Framers, Carpenters, Handymen and Do-it- Yourselfers, we have experience with all of them. We want you to feel comfortable in all aspects of the installation process.